Second-bottom plays bottom in this game and both of these teams are yet to record a win in the tournament. When you consider the Spanish side were classed as second favourites for the tournament, and the team most likely to challenge Team USA, you are probably left wondering where did it all go wrong? Of course, there is still plenty of time for the Spanish to turn things around but they need to get their act together quickly. A narrow defeat to the hosts in their last game would have hurt but once again, Pau Gasol was the man that stood out from the crowd. If he can deliver another strong showing in this game, it is likely that the Spanish will be up and running. Gasol helped himself to 13 points and 10 rebounds in this defeat. Nigeria lost by 9 points to Lithuania in their last game. This wasn’t a crushing defeat and the Nigerians edged the second and fourth quarters, which will give them some hope coming into this game. Once again, Ike Diogu was the key player for the Nigerians, helping himself to 19 points and 7 rebounds in the defeat. Spain should win this game but given their form of late, the bookmakers are possibly being overly generous. With this in mind, take Nigeria at +19.5, which you can find at odds of 1.90. If you are looking for the Over/Under market, look to go UNDER 158.0 at odds of 1.90. 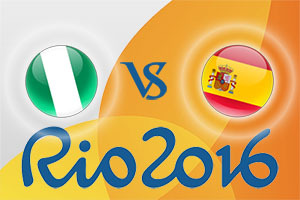 The double result of Spain half-time, Spain full-time is available at odds of 1.84. Bet Now! Pau Gasol is available to score over 18.5 at 1.60 and if you are keen to wager on Ike Diogu, you can back him to score over 15.5 at odds of 2.25. These are the two players that have bagged the most points for their teams so far and are most likely to do the damage again in this match on Thursday night. The game starts at 2300 BST on Thursday 11th of August.